The victim of a three car collision in Galway has been named locally as Luan McCaul. Mr McCaul (20) lived with his family in Ballyfruit on the outskirts of Headford. He died at the scene of the crash on the R337 at Cordarragh, Headford yesterday. A local woman who was seriously injured in the crash is understood to be making a good recovery in hospital. She had been travelling with her baby, who is just weeks old. The infant was not seriously injured in the incident. The four occupants of the third vehicle were also brought to hospital but their injuries are not thought to be life threatening. The three car collision occurred outside Headford in Galway yesterday afternoon. The young man's remains were also transferred to University Hospital Galway. 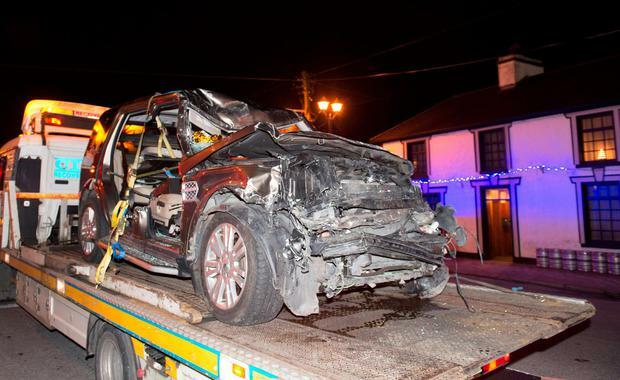 Gardai in Tuam are investigating the three vehicle collision. They appealed for witnesses to contact Tuam Garda Station on 093 70840, The Garda Confidential Telephone Line 1800 666 111 or any Garda Station. The road was closed for a number of hours yesterday to facilitate an examination by Garda Forensic Collision Investigators.